Lot 87: Leonetto Cappiello, Le Petit Dauphinois, 1933. Sold for $25,000. Left, Lot 17: Ludwig Hohlwein, Besuchet den Tiergarten, 1912. Sold for $22,500. 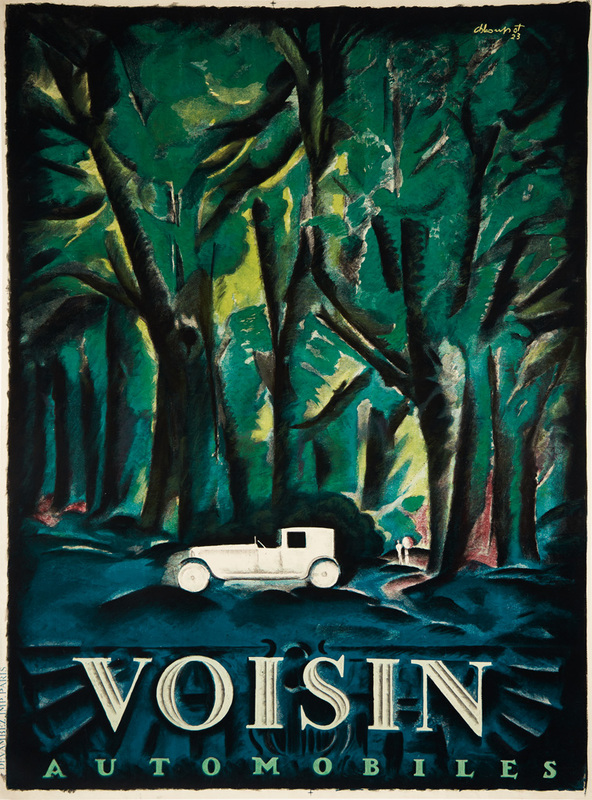 Right, Lot 97: Charles Loupot, Voisin Automobiles, 1923. Sold for $30,000. 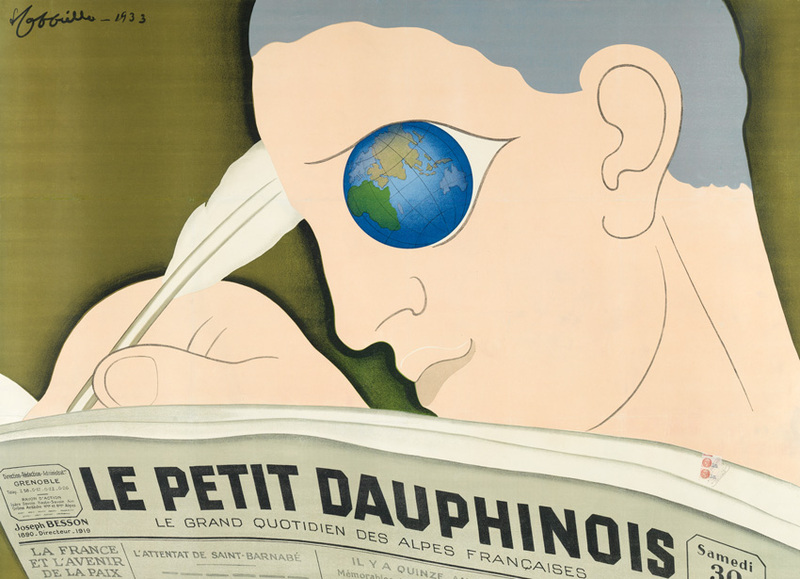 Early twentieth-century French posters led the sale, with highlights like Leonetto Cappiello’s Le Petit Dauphinois, 1933, an advertisement for one of the largest periodicals in the Alps at the time. 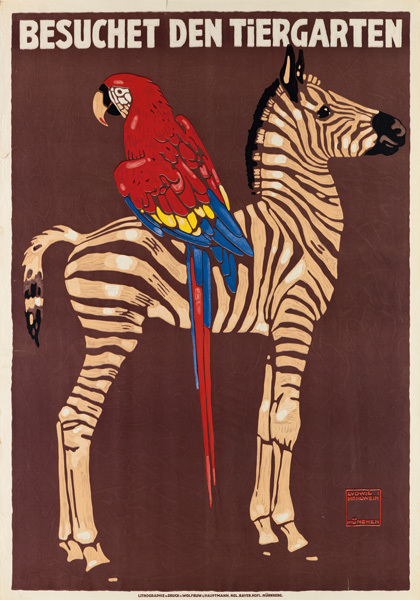 Also in the sale were works by Lucian Bernhard, Robert Bonfils, Leo Lionni, Paul Rand and Zero (Hans Schleger). There was a strong selection of Russian propaganda and Constructivist posters, with works by Mikhail Dlugach, Nikolai Dolgorukov and Gustav Klutsis. Exhibition and Japanese posters rounded out the sale. 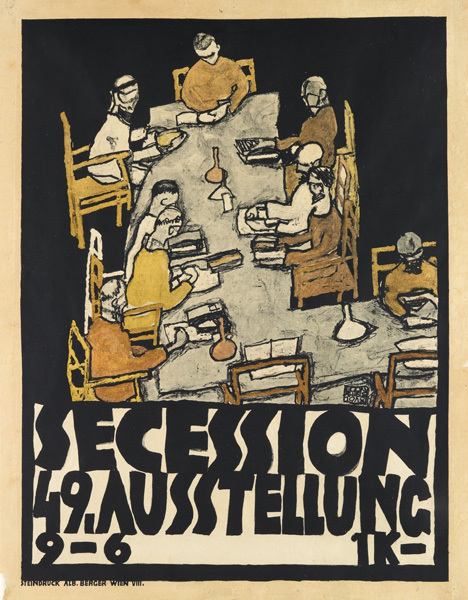 Right, Lot 7: Egon Schiele, Secession 49 / Ausstellung, 1918. Sold for $22,500. 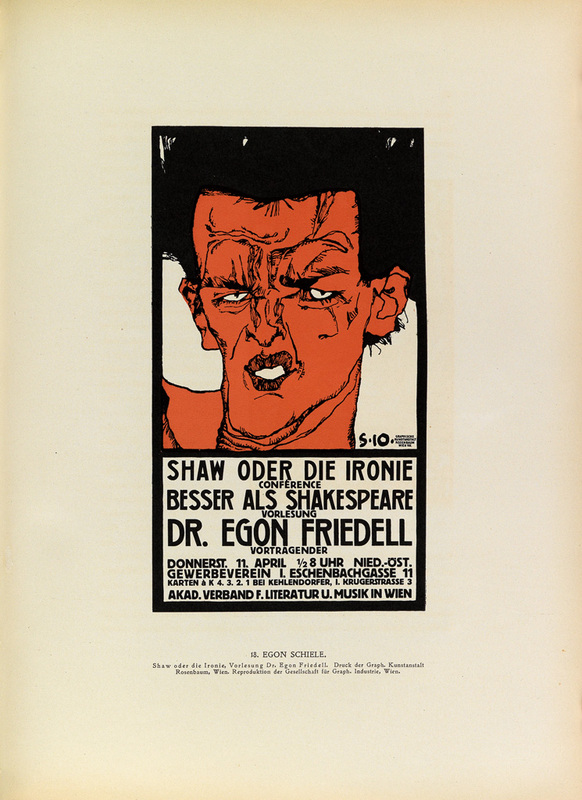 Lot 5: Bertold Löffler, Kunstschau Wien, 1908. Sold for $42,500. 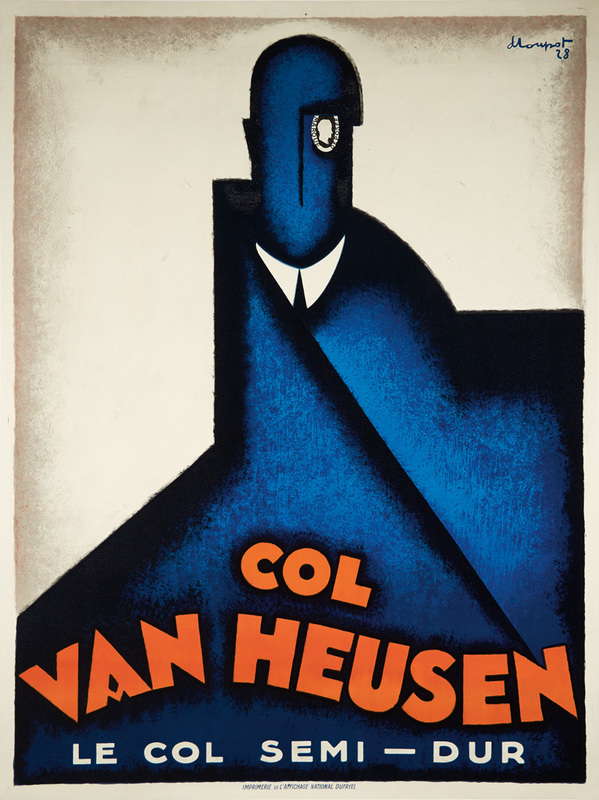 Left, Lot 96: Charles Loupot, Col Van Heusen, 1928. Sold for $50,000. 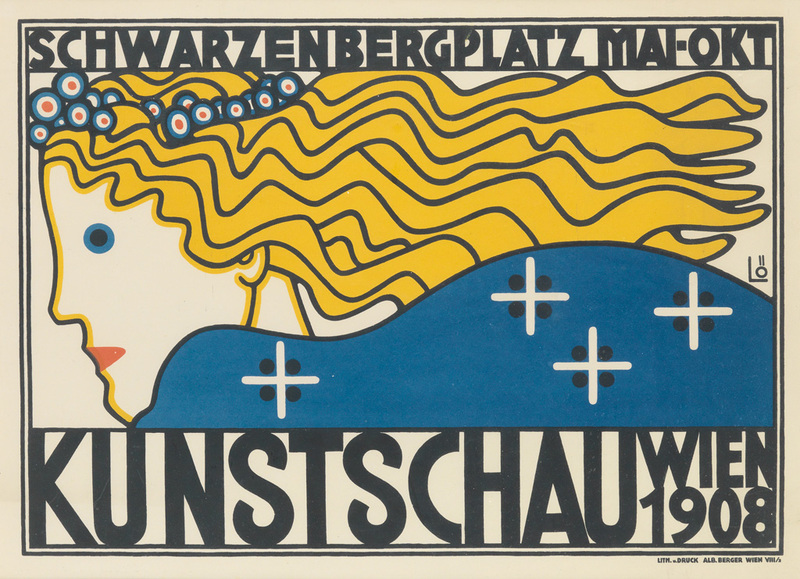 Right, Lot 2: Ottokar Mascha, Österreichische Plakatkunst, Vienna, circa 1914. 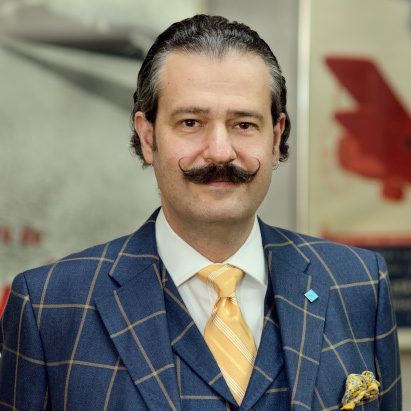 Sold for $18,750.